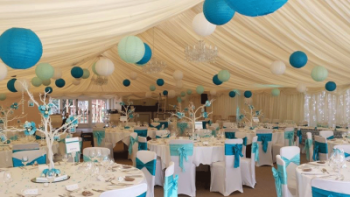 Globe lanterns are available in pastels or vibrant colours. 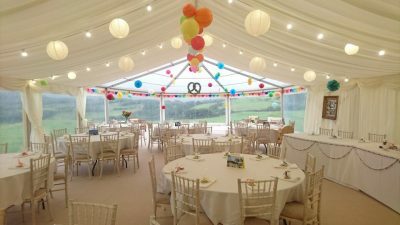 When thinking about using lighting and decor then be sure to check which sizes would be best to compliment your marquee décor. 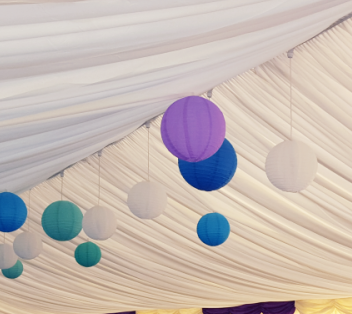 Using globe lanterns alongside a choice of different lighting effects will maximise their effect. 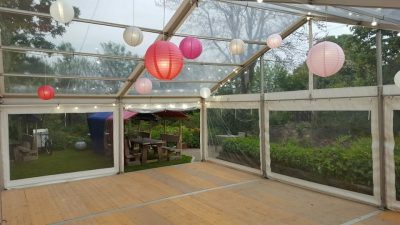 Lanterns can be easily installed in our marquee structures by our crew. 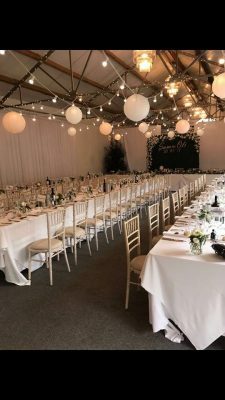 If not planning to celebrate in a marquee, then we can decorate our client's choice of hall or barn creating a whimsical or rustic themed wedding. 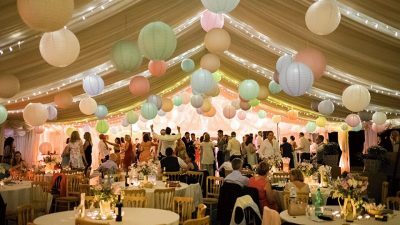 Colour schemes in a wide range are available, our lanterns also look fabulous added to our festoon lighting. 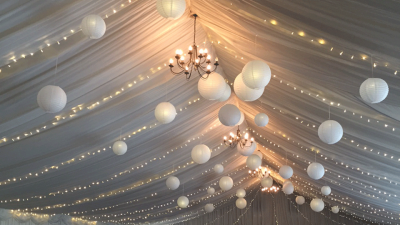 They will look amazing alongside our warm white fairy lighting as well as with our colour wash lighting. 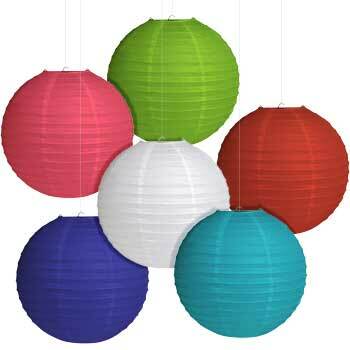 Outdoor globe lanterns also available. 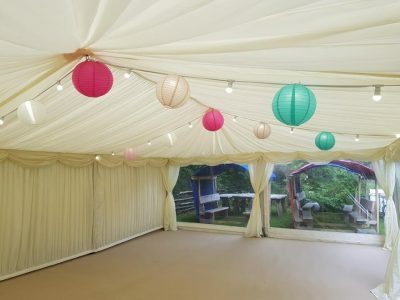 These can be used with the exterior festoon lighting or we can simply hang them in trees with battery powered pin lights to create a magical night time effect to wow your guests with.